The Diamond Jubilee of Queen Elizabeth II was a multinational celebration in 2012, which marked the 60th anniversary of the accession of Queen Elizabeth II on 6 February 1952. 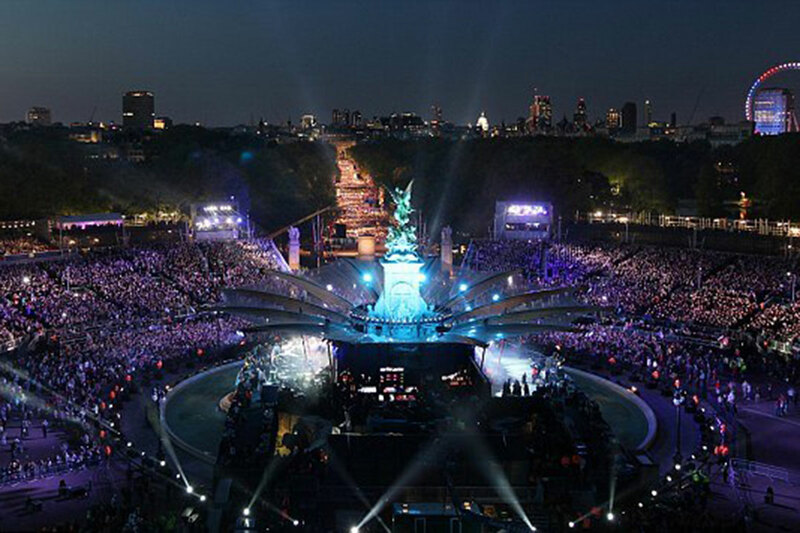 As part of the celebrations a Diamond Jubilee Concert outside Buckingham Palace took place. It was organised by Gary Barlow and the BBC after 6 months of preparations. The concert included performances from Robbie Williams, Tom Jones and Elton John. 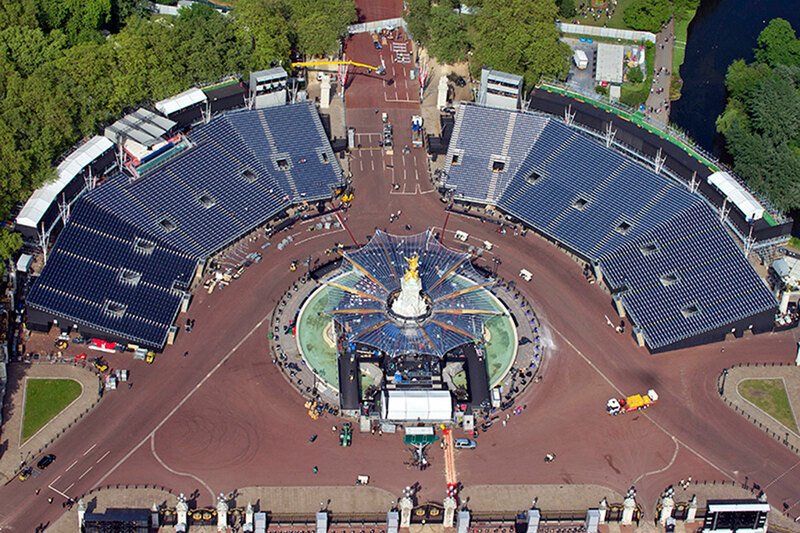 Media Structures were handed this exciting brief with the requirements to design and install a number of temporary camera towers, including fully operational broadcasting studios to capture one of the most prestigious events in recent history. 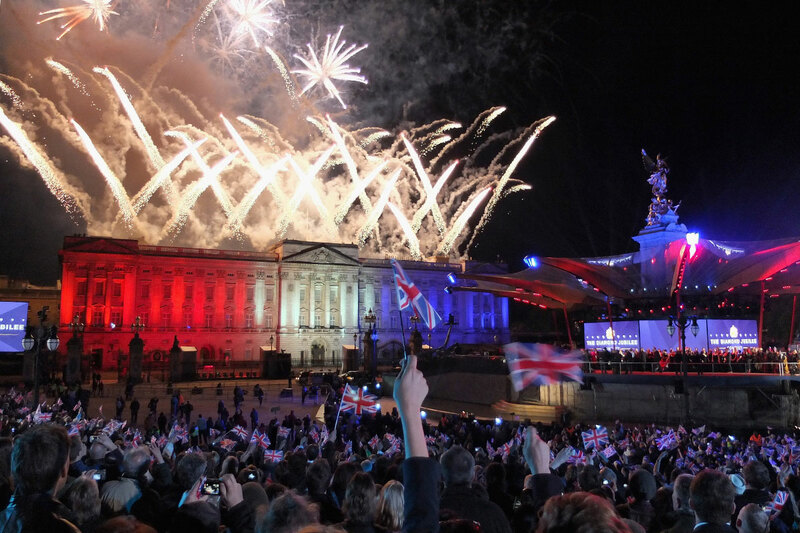 The Queens Diamond Jubilee was attended by thousands and watched by millions all over the country. Working alongside our parent company TONE Scaffolding Services to deliver this prestigious project as a whole, we created stunning technical design visuals after many days of calculations. Our designs offered the client the perfect solution resulting in sign off on version 1; these visuals were then passed onto the production line. 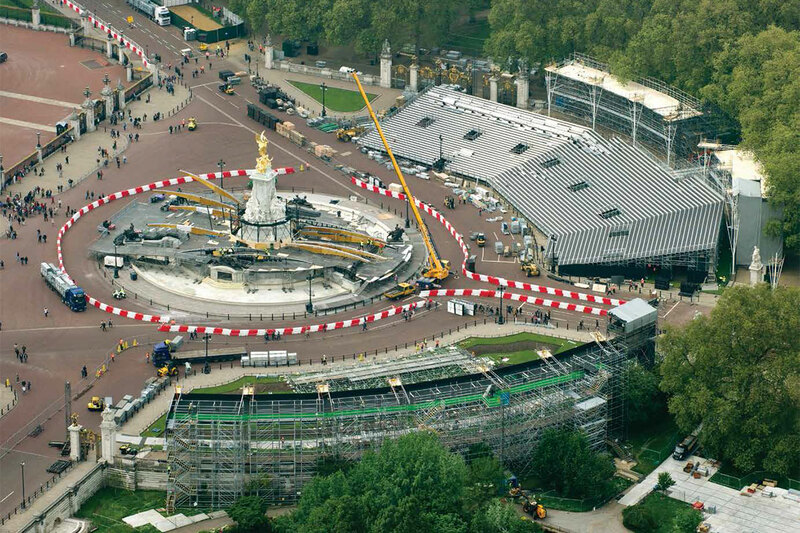 Media Structures scaffolding experts erected two enormous structures using our proven system scaffold, demonstrating that Media Structures can draw from a huge material resource when the need arises for the big and the beautiful events. The internal walls of the studios were added using only the finest grade of plywood and painted giving the feel of a permanent studio. Finally to give both structures the truly professional finish they deserve, we framed and netted both front elevations hiding any of the internal support structure. Our broadcasting studios were now all set and ready for the celebration’s to take place with the concert going on until the early hours of the morning.